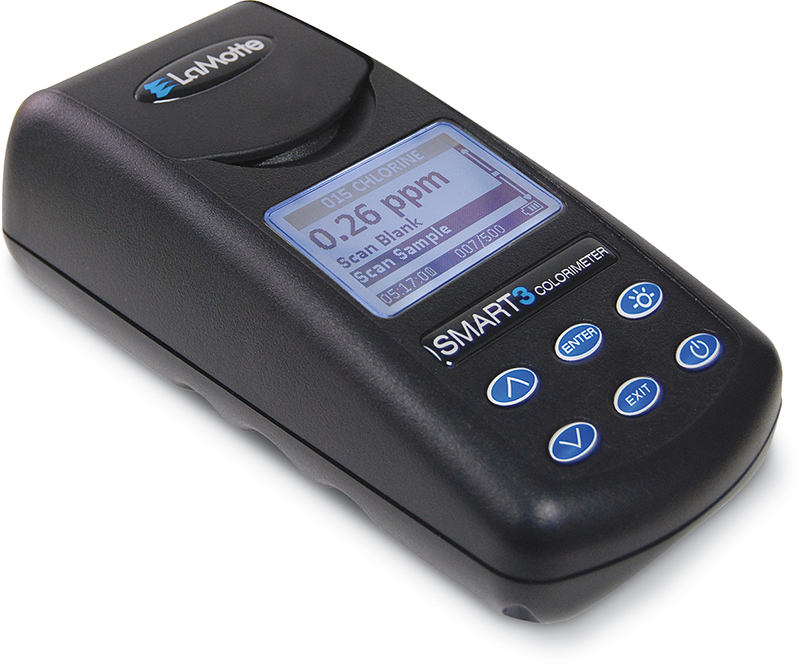 The user-friendly SMART3 Colorimeter is the ideal direct reading colorimeter for complete on-site water analyses. 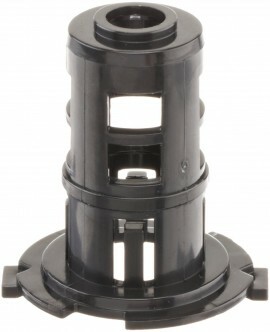 The compact SMART3 Colorimeter is ideal for water analysis in the field or in the lab. 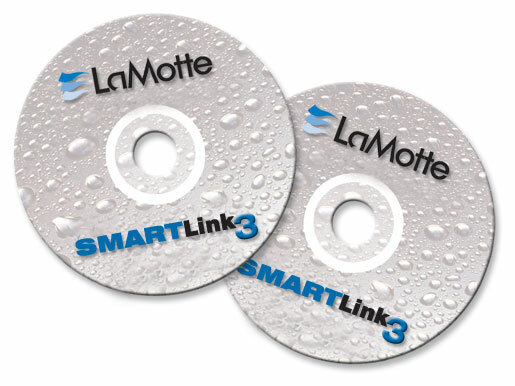 Easy to use software allows the analyst to choose a test factor from over 75 preprogrammed calibrations for LaMotte reagent systems. The reacted sample is always scanned at the optimum wavelength which is automatically selected from the multiple LED optical system and the test result is presented on the large, backlit display. The test result is displayed directly in units of concentration, as well as Absorbance and %T, in one of seven languages. 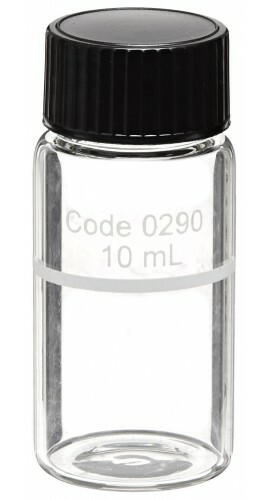 The analyst also has the option of entering up to 25 additional calibrations for analysis with custom reagent systems. Test factors can be arranged in any of three sequences that can be modified at any time to meet changing testing needs. The data logger holds up to 500 time and date stamped data points. A USB connection allows an interface of the colorimeter with a computer for real-time data acquisition and data transfer. The meter logs up to 500 data points. Battery: Charge Life: Approx. 380 Tests with Backlight on to 1000 Tests with Backlight Off. Battery Life: Approx. 500 Charges. Interface the, SMART3, 2020we/wi, and LTC-3000we/wi meters with a Windows-based personal computer. The program can be used to download data stored in the dataloggers of these meters. The program allows the user to identify, organize, view, manipulate and store data as a database on a PC. Data can also be copied and pasted or exported to other applications as a .csv file. 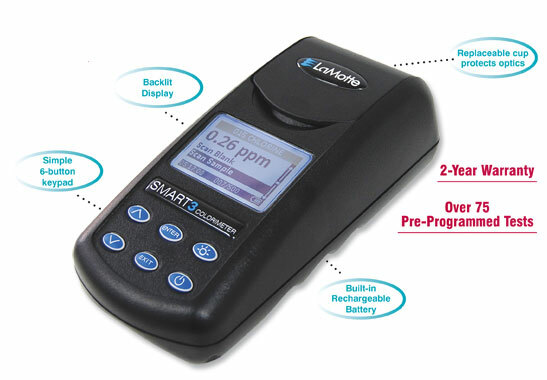 The SMART3 Colorimeter is complemented by easy to use reagent systems. Choose the desired test factors from the list below. 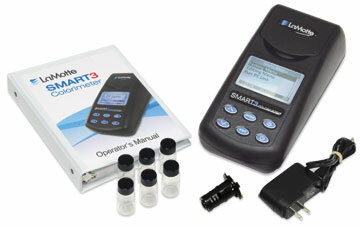 Several packaging options are available for field use, making your SMART2 Colorimeter a "field laboratory". For over 79 years, LaMotte has produced the highest quality reagents for colorimetric analysis. We use ACS raw materials to manufacture reagent systems that have high reproducibility. We design our reagent systems to overcome test interferences so results are fast and dependable. Due to changes on Canadian Importation Regulations, Test Kits containing reagants with a mercury component (Ammonia Nessler) will no longer be allowed into Canada.